Review games can be so much fun, but if you have ever tried creating one with a PowerPoint file...ugh! 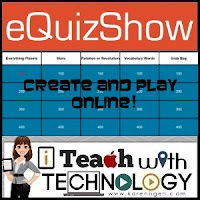 But, now you can quickly and easily create and play Jeopardy style review games online in just a few minutes with either of these FREE sites- eQuizShow or Jeopardy.Rocks! 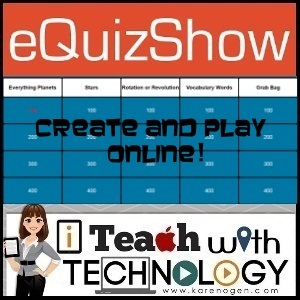 The free eQuizShow resource does not require an account or a log-in, but if you want to edit a quiz you have previously created, you will need to remember the password associated with the quiz. You also will need to click your points after each correct or incorrect answer. However, for $14/year you can upgrade your account so that you have automatic scoring, the ability to upload images, and you will have more control over the privacy of the quizzes you create. Two teams can play your completed game! 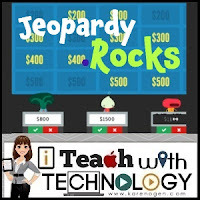 The free Jeopardy.Rocks resource does require you to create an account, but that also provides you with some custom options. The first one is that you choose your own Jeopardy.Rocks URL for your users to link to. Then your game creation is just click and create. Just log in to your account to edit your game or to create new topics. 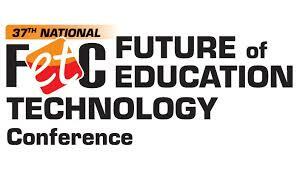 I'll take: Tools that make teaching easier for $500, please.